The deputy director of the SPbFRI took part in the work of the forum. 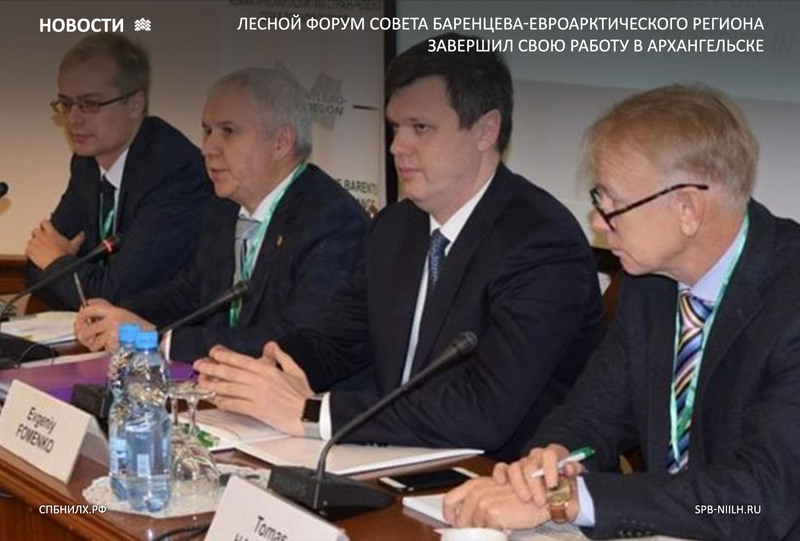 He presented a report on possible scenarios and economic consequences of climate change in the part of forestry in the Russian territories of the Soviet-Barents/Euro-Arctic (SBEA) region. The forum participants discussed the role of forests in adaptation to the effects of climate change and mitigation of anthropogenic impact on the climate system, as well as the issues of the climate policy of SBEA member countries in the forest sector, taking into account the long-term development strategy with low greenhouse gas emissions. The analysis of the vulnerability of forest ecosystems in the Russian territories of the SBEA has shown that climate change can significantly affect the availability of forest goods and services in terms of quality and quantity. In turn, some environmental services of forest ecosystems can directly contribute to strengthening the adaptation potential in the region. The multifactority of the impact of climate change and the diversity of their consequences for forest ecosystems in the North-West region of Russia predetermine the need to develop and implement the appropriate sectoral adaptation programs. Preemptive, strategic and localized measures implemented by the public sector have the highest priority in the formation and implementation of strategies and programs for adaptation of forestry in Russia. This is primarily due to the peculiarities of production and consumption structure in this sector of the economy, as well as the due to long term response of forest ecosystems to adverse climatic effects.